"My Journey begins... @ SST": Bad Designs that we use. Source : Picture on the left. The smaller picture above looks more similar to the real drain cover in SST. The drains with gigantic gaps in the covers can be found across a small part of the pathway to the back door , along the top of the steps led to the canteen. People with foots of small surface area encounters a very serious consequence when stepping on the drain. When I first came to SST, I came in through the back door and stepped right on the drain with the middle of my foot placing on one of the metal line in the drain cover. At that time, I was wearing slippers . I lost my balance and almost sprain my foot. Luckily I stood on the solid ground with my left foot to support me. People who share the characteristics as mine foot would most likely encounter this problem. 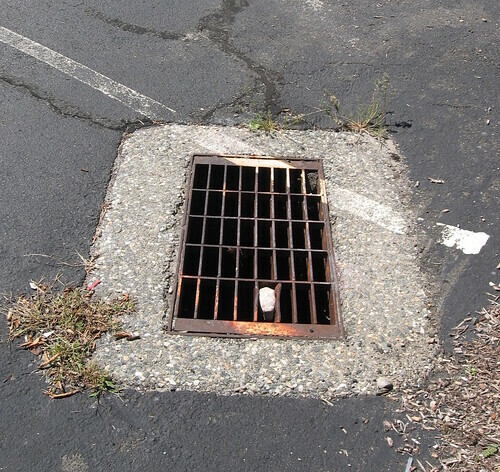 The school should purchase drain covers with smaller gaps in between to reduce the risk of spraining their foot. 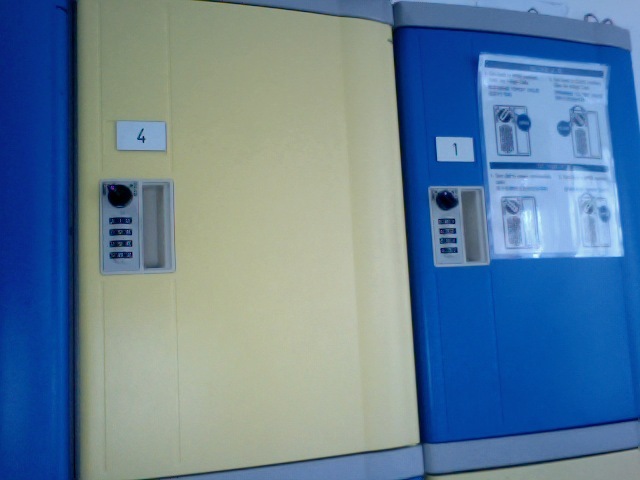 People would easily catch a glimpse of our number code when we swing open the lockers. 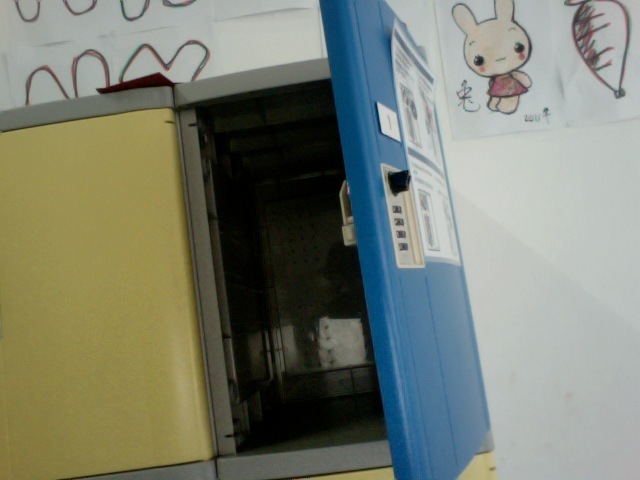 The door would be facing outwards and it is not possible for me to cover it when I am placing me stuff in the locker. 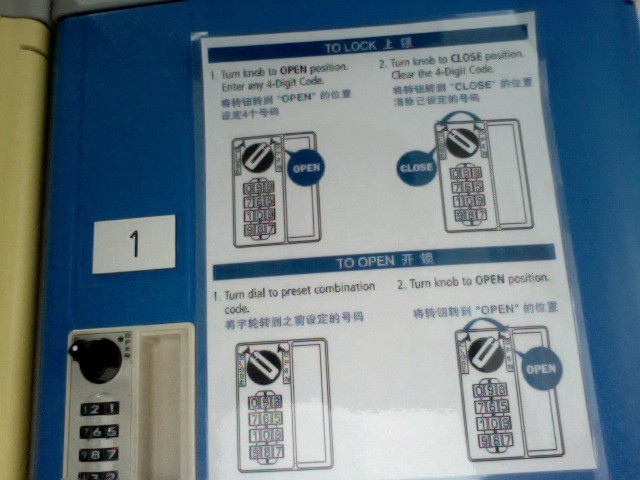 If the switch is pointed at 'open' you can reset the code by switching the numbers. I would accidentally brush the combination code device and change the code . Inconsiderate people would reset the code of your locker without you knowing and lock all of your stuff inside. 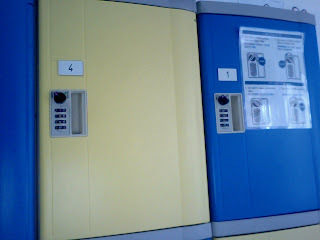 The locker should should a small opaque cover for the combination code. They could set a extra switch for code reset.